After you have purchased a Premium License or one of the available sending plans from our Sending Service, you will receive an activation Key which will be used to set up your MailPoet plugin to send emails with us. And you're done! 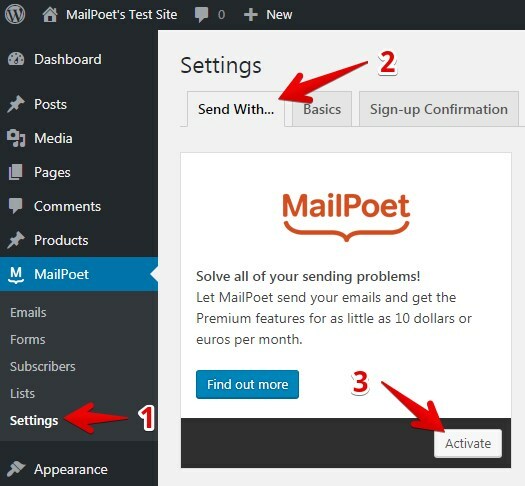 From now on, you can start sending your newsletters, welcome emails and post notifications with MailPoet. Important: key activation will not work if you website is on a localhost or behind a firewall.